Recent Sonus Paradisi sample sets have a specific feature: dual channel tremulants for improved (more convincing) artificial tremulant behavior. Dual channel tremulants require the Left and the Right channels of a conventional stereo file split, so that each of them may be manipulated independently by the Hauptwerk tremulant model. 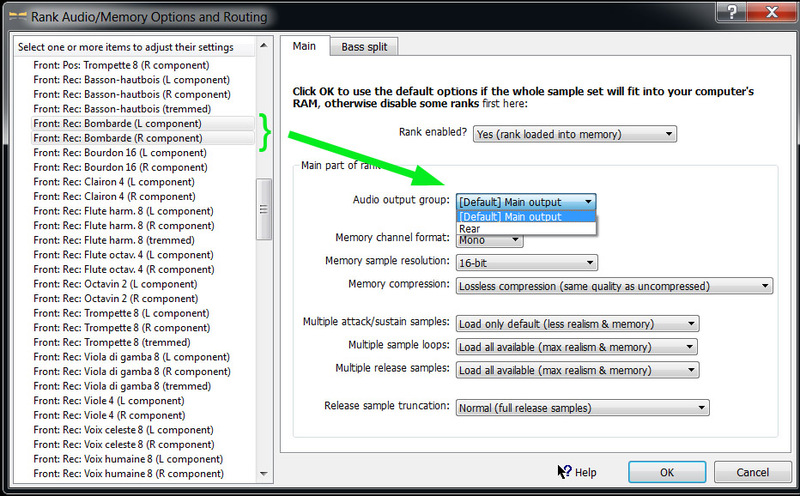 Hence, when loading the sample set, the Left and the Right component of each affected rank will be displayed in the rank audio loading dialog on a separate line. It is recommended to load both of these components of every organ stop into the same stereo audio output. Load the ranks marked as the L/R component in MONO! Loading the dual channel ranks in mono was adviced by the chief programmer of Hauptwerk software, so it should be absolutely safe for a user to adopt this technique. 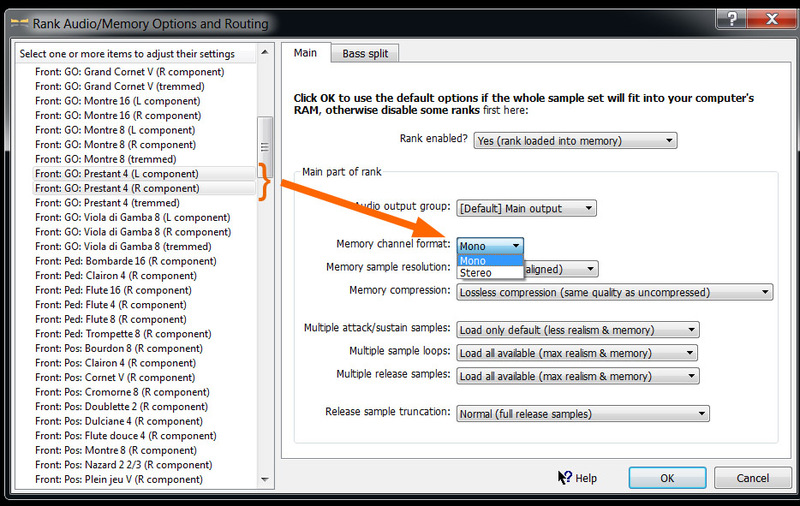 For each L or R rank component, please select MONO as the Memory channel format. By doing this, the sample set will be loaded with the minimum RAM requirements.